HAKUOUKI & AMNESIA OTOMATE RUBBER COASTER COLLECTION!!! This AWESOME AWESOME AWESOME Otomate Rubber Coaster Collection is INCREDIBLY NICE!!! 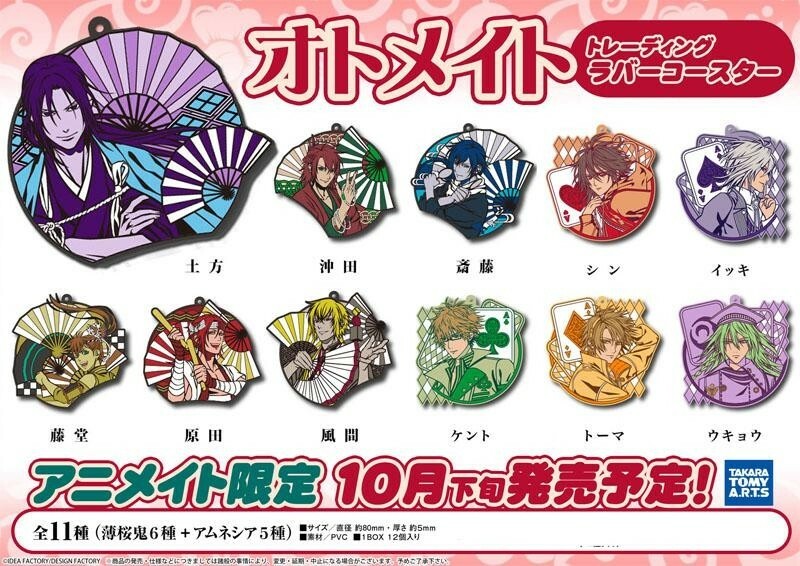 The artwork is beautiful and unique o(≧▽≦)o The collection contains 6 Hakuouki characters and 5 Amnesia characters ( ´ ▽ ` )ﾉ I will buy these!!! As always I will buy extras to sell and will open for reservations~ Each coaster is $15~ If I get more than 7 characters in reserved, I will buy a box! I will buy as many boxes as necessary!!! Fans of each anime/games, feel free to support your favorites!!!! This is so pretty!!! 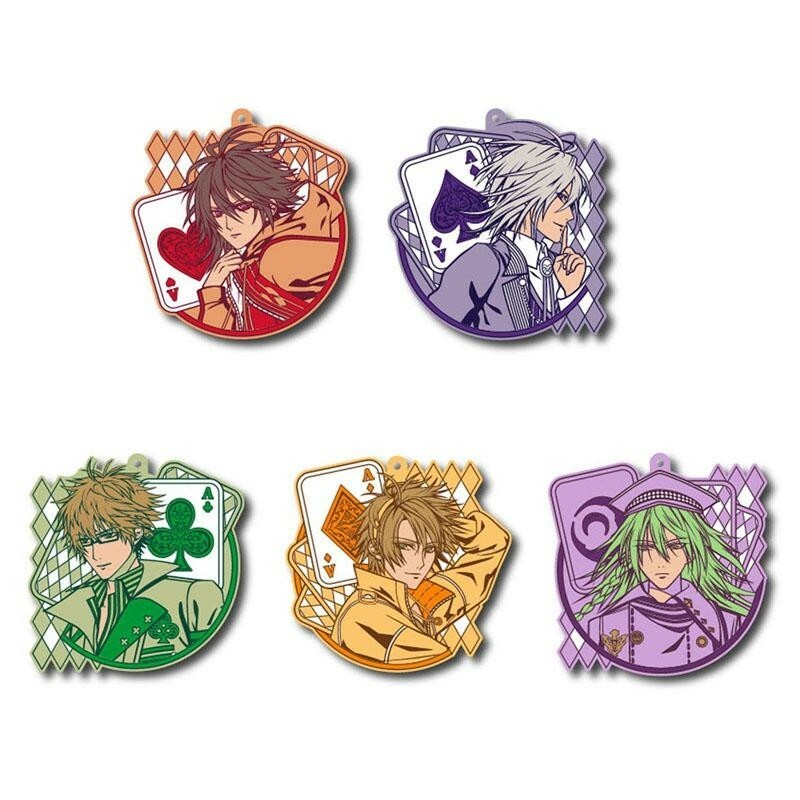 I would like to have Saito, Toma, and Ukyo rubber coaster :D! Anyways, I'll put you down for your usual three!!! 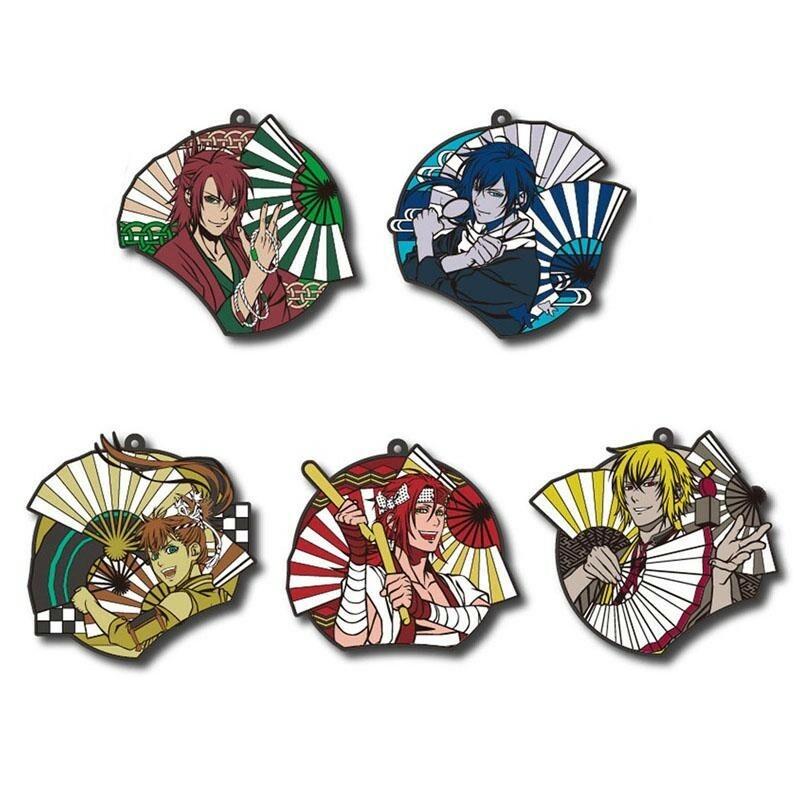 Hi C-chan, your three Hakuouki rubber coasters are here, along with the Yukimura and Tezuka stick posters, and the KuroBasu Relaxation stickers I held for you. I've updated all my sales, is there anything you would like to add? Or should I give you a total? Let me know! ahfasd ; SHIN is calling my name . Yeah Okita's looks good... ok put me down for Okita too. So many releases in November, can't wait! should I assume you won't be ordering a box? I'm asking because I'm looking at auctions for these, also deciding if I want to give it up altogether to buy something else. If you already ordered a box then I'm still here, just wondering what your thoughts are. Yeah, I really like those three a lot. AHH to heck with it, if you get a box, I can claim Harada's also. His turned out well in real life too. I figure I'll just buy them from you~ or not at all. Doesn't seem worth it to get them from auction.